The new modern home page layout has become more fluid to fit your browser window. It stretches and moves with your viewing preference. 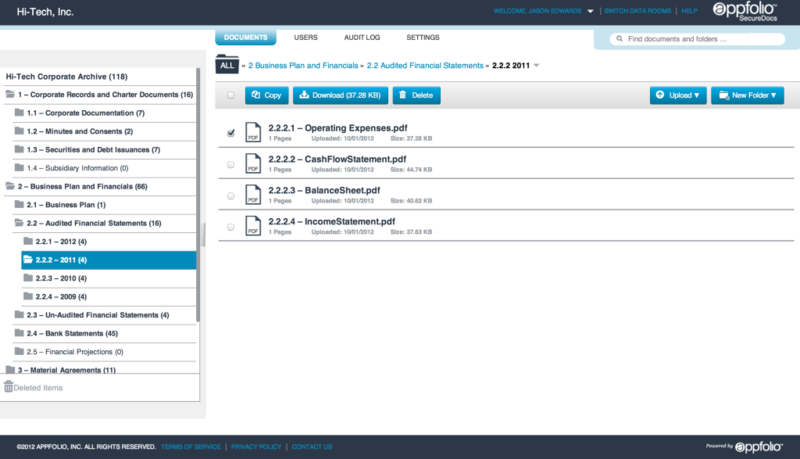 The folder tree is now adjustable to expand for longer document/folder names and lets you scroll through long lists. You can now see breadcrumbs that quickly map where you are in the folder structure and are clickable to grant you easy access to places you’ve navigated through. Document and folder actions are easily identifiable with a clear actions bar that provides copy, download, and delete options. To rename a document or folder simply click on the pencil next to the document title. Drag & Drop is still available, you can drag documents anywhere into the document list and they will upload to your folder. If you are an Internet Explorer* user or prefer to use an upload feature, you may use the Upload button to upload documents or folders. *The IE browser does not support drag and drop functions for any cloud-based service. We recommend using Google Chrome or FireFox. The users page has been updated to make the user role creation process easier. You can hover over different user role links to see which users are in each role. When inviting a new user, we now have the option to add a personal message to your email. Email addresses have now been added along side user names to ensure transparency of the user. 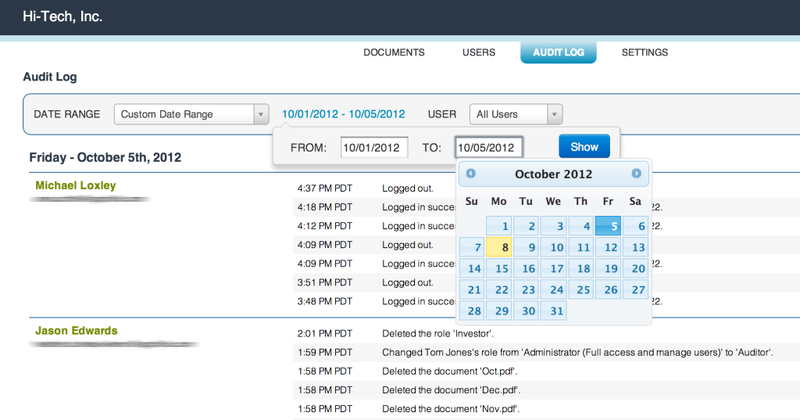 The audit log filter is now a dynamic function and you may search for a user by typing their name in the audit filter. 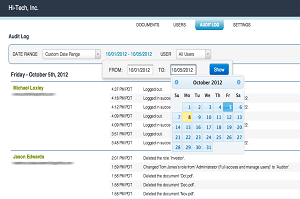 The custom date range now has a calendar feature in the data range drop down. The new design was built to provide a better user experience for our customers and their partners. If you have any questions about the system, please do not hesitate to contact our customer support line 866-700-7975. To procure an additional data room or learn more about AppFolio SecureDocs for your company please visit our website. *Some features may not be available depending on permission settings.